CONTACT Crisis is a local Dallas charity that provides crisis phone support to those in need. CC is hosting a fundraiser in January that may interest some of you. 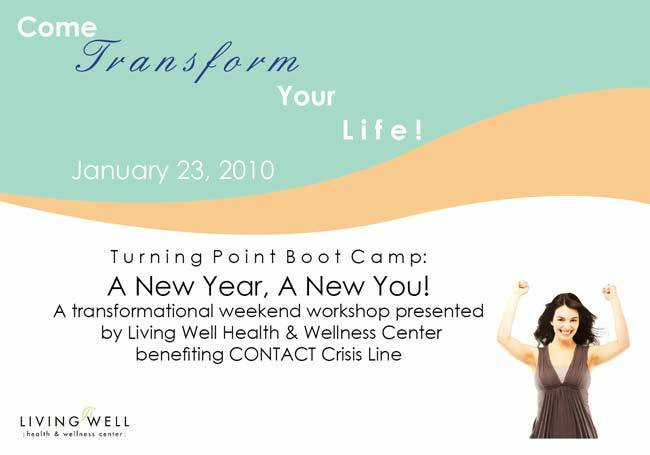 Living Well Dallas is having a one day seminar/boot-camp to help individuals assess their mind-body priorities and get set for 2010. Details below. We’re not here to judge. We’re here to listen.